Austin Scarlett [New York] – Season One, Fourth Place – known for eccentric ball gowns and ability to produce glamorous fashions under tight deadlines, including a gown made entirely out of corn husks. Elisa Jimenez [New York] – Season Four, 10th Place – known for marking her clothes with spit, rather than a fabric pencil. Kenley Collins [Brooklyn] – Season Five, Second Runner-up –known for her vintage, flapper-inspired looks. Gordana Gehlhausen [San Diego] – Season Six, Fourth Place –showcased her signature knit and crochet wear. Mila Hermanovski [Los Angeles] – Season Seven, Second Runner-up –she chose to show a black and white collection inspired by shadows at Bryant Park. April Johnston [Savannah, Georgia] – Season Eight, Fifth Place –known for her dark textures and grunge-inspired pieces. 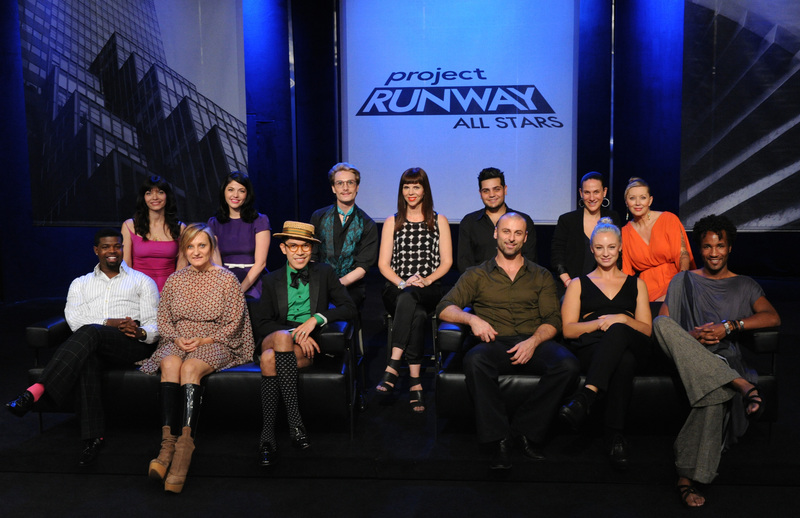 Project Runway All Stars will premiere later this year on Lifetime. This entry was posted on August 10, 2011, 15:51 and is filed under TV. You can follow any responses to this entry through RSS 2.0. Both comments and pings are currently closed.